The Profile Form contains data about faculty members that tends to be consistent over time, such as a name. Consistent with the Interfolio top-down implementation approach, customization should be performed at the highest level (e.g., university) and then for the next lower level (e.g., colleges), and so on. The data that is collected creates the basis for reporting and other output (e.g., CVs, institutional reports, accreditation reports, etc.). On then Admin section of the navigation menu, click Setup. Click Profile Form in the Configuration section. The Profile Form screen displays. Make sure Profile is selected as the Form Type. Click the unit designation for the desired profile form. Click the Edit icon adjacent to the desired profile form. (To delete a profile form, click the Delete icon.) The Configure Form screen displays. To change the order of the sections or hide a section, click the Reorder drop-down. To configure individual sections in the Profile Form, click the Edit icon adjacent to the desired section to be configured. 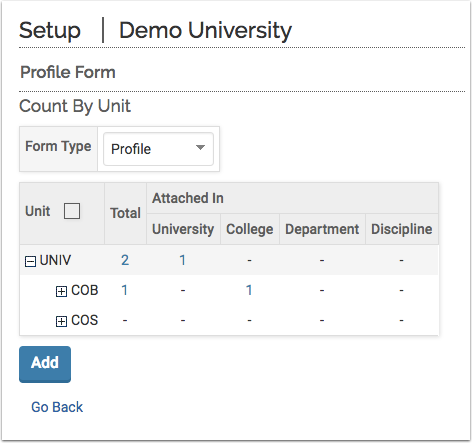 See Custom Input Sections for information about the available fields. When you are finished configuring the Profile Form, click Save. 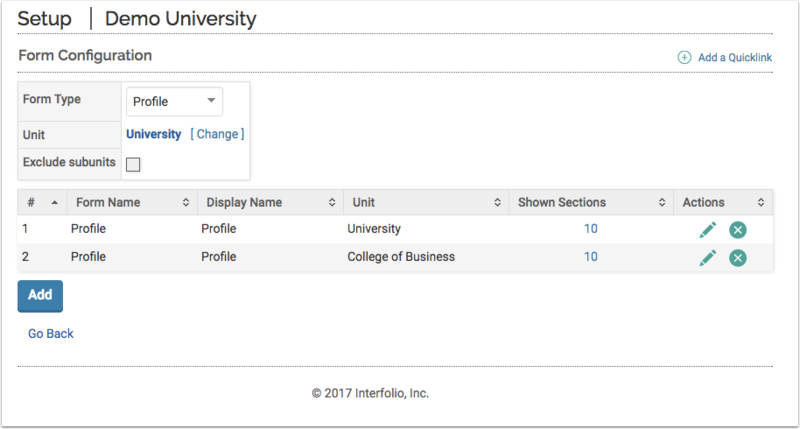 The fields in the Personal Information section can be uploaded to FACULTY180 (see Upload Base Data). Note: Fields can be locked, hidden from input, and/or hidden from reports. The fields in the Current Information section can be uploaded to FACULTY180 (see Upload Base Data). Note: Fields can be locked, hidden from input, and/or hidden from reports. 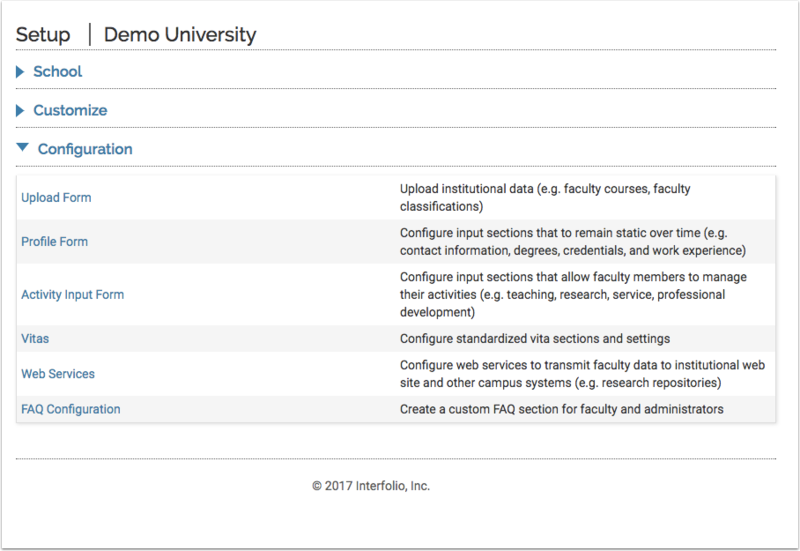 The fields in the Current Position section can be uploaded to FACULTY180 (see Upload Base Data). Drop-down list: More than 60 options are available. Additional options can be added, if needed. Enter text in the text box. This section is populated with evaluations as they are completed in FACULTY180.